Originally designed for mooring ships, bollards are now a common sight in cities and parking lots as a means of directing traffic flow. Typically, bollards are made from concrete, stone or metal, making them more hazardous for motorists than need be. Permanent bollards made from Architectural Fiberglass provide a safe, stylish solution to your bollard needs. We see bollards all the time, and while they don’t look like a typical sign, they function just as well. Permanent bollards help pedestrians, motorists and cyclists all share the same space. Architectural fiberglass bollards from Stromberg Architectural are highly customizable, and can be manufactured to fit any need. 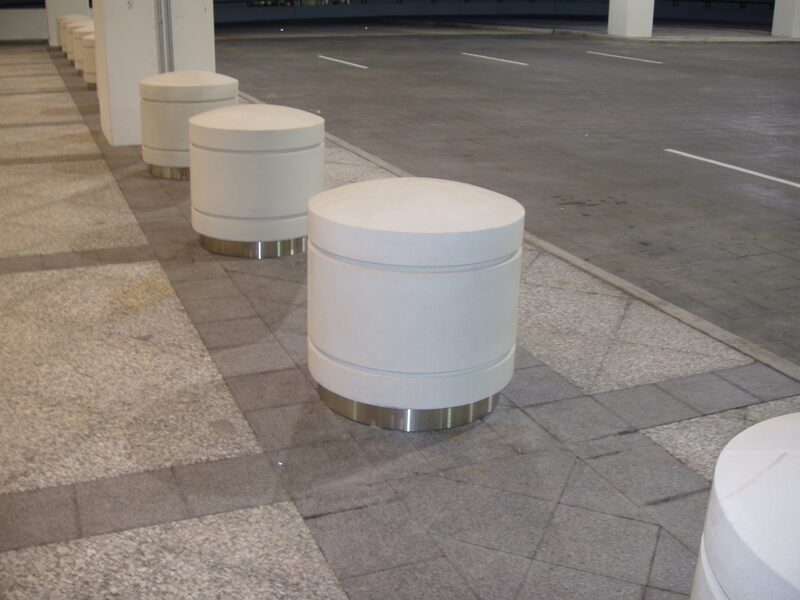 With custom architectural fiberglass bollards, you can create safe pathways for pedestrians that are also specially suited to you and the image of your company. There is nothing more confusing than a wide open parking lot. Normally, traffic in parking lots is directed by painted signage on the pavement, which can easily clash with the design aesthetic of certain establishments. Moreover, painted signage can be obscured by snow, and is worn away over time by weather and traffic. Permanent architectural fiberglass bollards can not only be customized to suit your aesthetic needs, but they are visible in any weather conditions. Better still, they will never deteriorate from weather or traffic. Traditional bollards are made out of heavy building materials such as stone, concrete or metal, which can be extremely damaging, and even deadly, if a motorist loses control of their vehicle. Stromberg’s architectural fiberglass bollards are light-weight and forgiving to unlucky drivers. 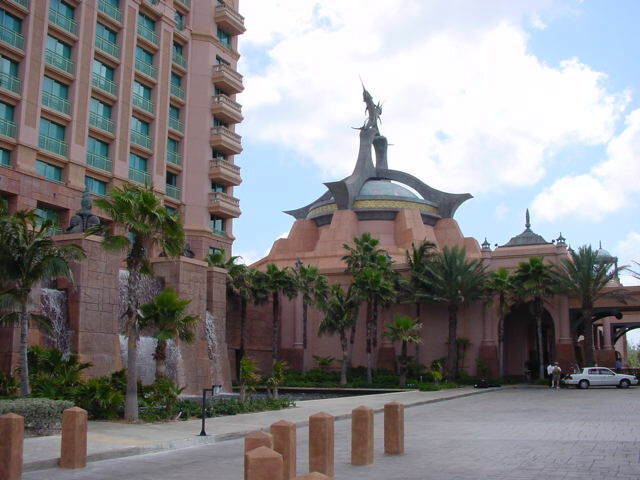 Furthermore, stone or concrete bollards can be expensive and cumbersome to repair, but architectural fiberglass bollards are low-maintenance and comparably inexpensive. Stromberg GFRP has a very high strength to weight ratio. GFRP is lightweight, which means faster installation, less structural framing, and lower shipping costs. Architectural Fiberglass resists salt water, chemicals, and the environment, and is unaffected by acid rain, salts, and most chemicals. GFRP by Stromberg is seamlessly constructed; resined together to form a one-piece, watertight structure. Architectural Fiberglass is very versatile, and able to be molded into virtually any shape; even complex, intricate shapes. FRP is very low maintenance. According to research, GFRP shows no loss of laminate properties after 30 years. Stromberg architectural fiberglass is very durable, and stood up to a category 5 hurricane with no damage, while structures nearby were destroyed. For more information on Architectural Fiberglass, visit Stromberg Architectural Products. The experts at Stromberg will help you make your GFRP project a success. We offer design assistance, specifications, and CAD details. If you have questions about Stromberg FRP, the initial consultation is free. Call us at (903) 454-0904. We are here to help.